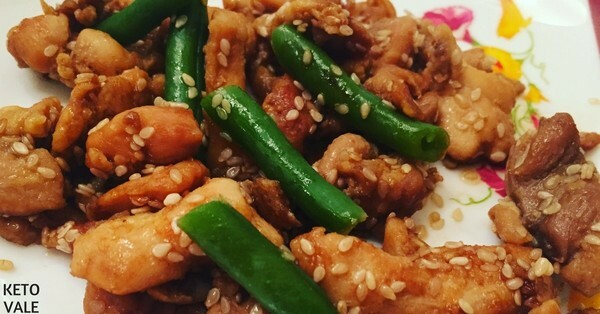 This sesame chicken is a very common and easy to make dish that can be found in Chinese restaurants. 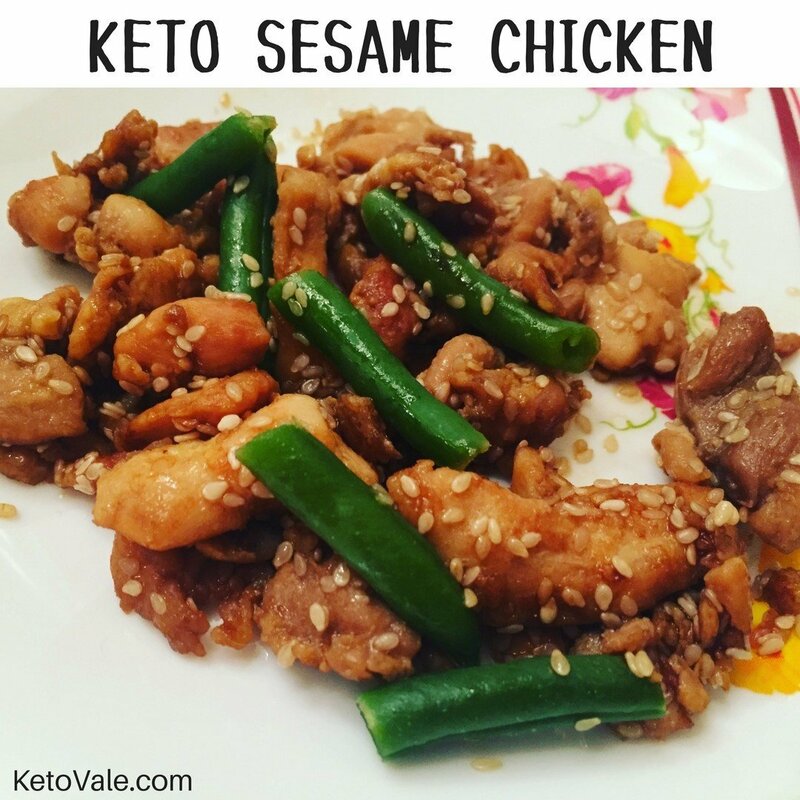 The regular sesame chicken dish you get from the restaurants has all purpose flour, sugar, corn starch, soy sauce and vegetable oil which make it not keto-friendly. 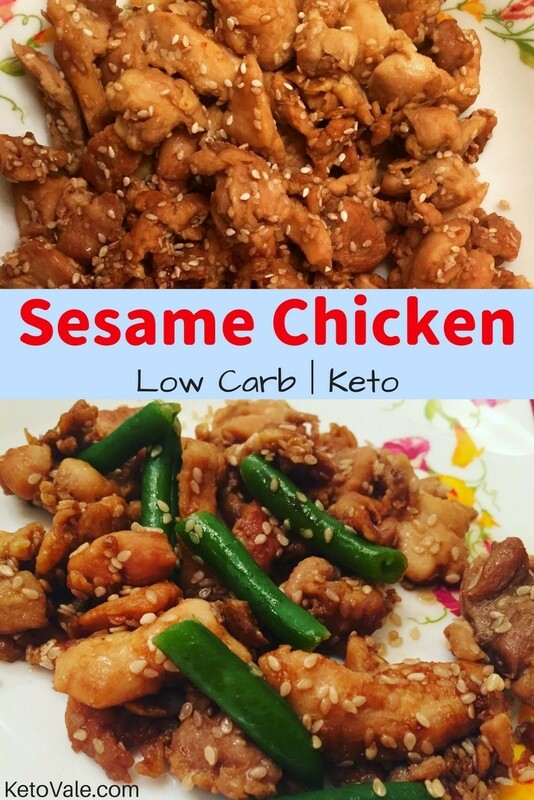 To make this recipe low carb, healthy and keto friendly, we need to adjust the ingredients a little bit. You can use guar gum powder (or xanthan gum) to replace corn starch which is used to thicken the sauce. For soy sauce, you can replace it with coconut aminos. 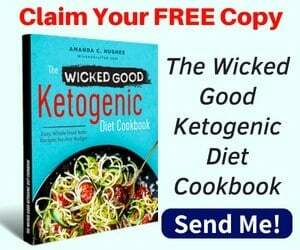 To make it taste sweet, you can use keto-sweetener such as liquid Stevia. We use Sukrin Gold which is made of erythritol. It’s an alternative to natural brown sugar. It has the texture, aroma, sweetness, and flavour of brown sugar without calories. The secret of this recipe is in the coating, the sauce and how you fry the chicken. For the meat to be crispy, you should use a large pan. 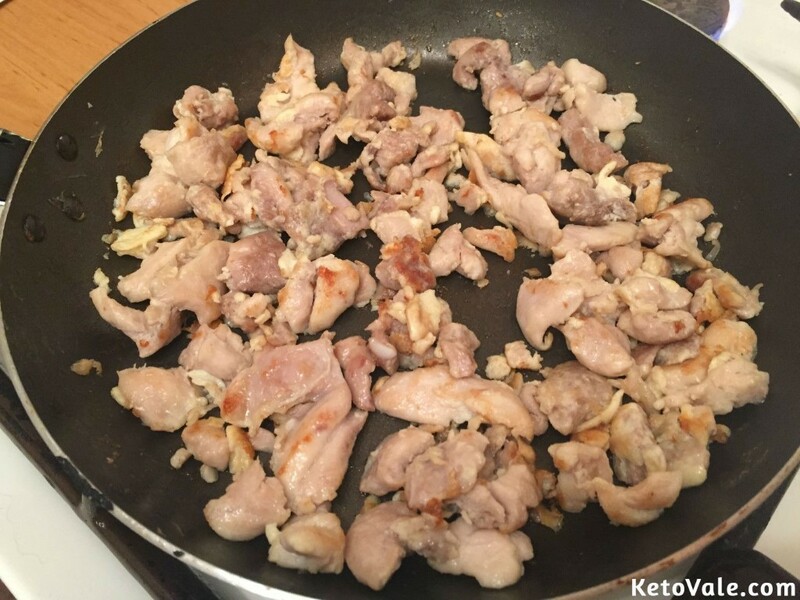 If you have a small pan, you can divide the chicken into 2 parts and fry them twice, otherwise, if you put too much chicken in at the same time, the meat will release too much water and it will become steamed instead of fried. You can serve this sesame chicken with steamed green beans. Green beans are okay in moderation for keto. If you don’t want beans, you can try steamed broccoli or cauliflower or even cauliflower rice! Cut the chicken thighs to make bite-sized nuggets. To make the coating, crack the egg in a bowl and beat well with the Guar Gum powder until incorporated. Carefully drop the chicken pieces onto the mixture and mix thoroughly up till the pieces are coated fully. Heat the olive oil in a large pan. Sear the chicken until both sides are golden in color. When flipping, make sure not to remove the breading. In a separate bowl, combine all of the ingredients for the sauce. 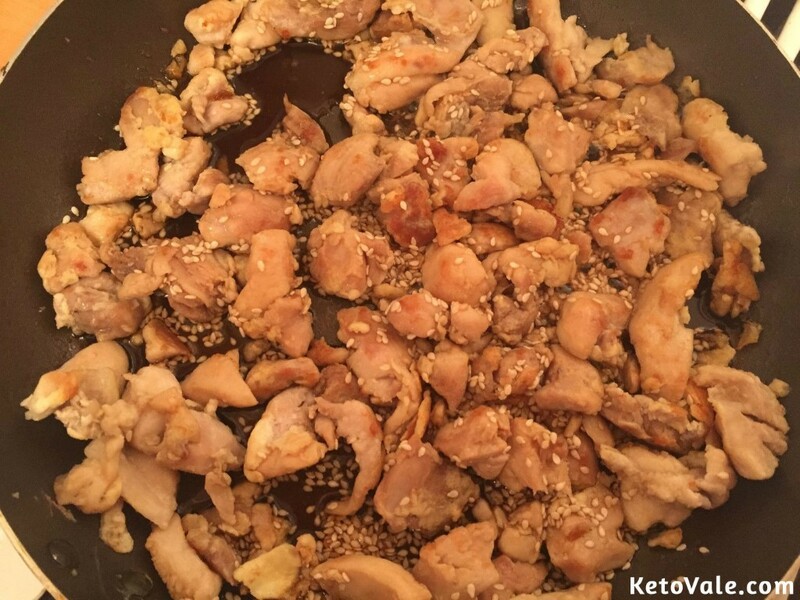 Once the chicken is done, stir it together with the sesame sauce. Sear for an additional 5 minutes. Bring to a boil. Transfer to a plate once the sauce thickens. 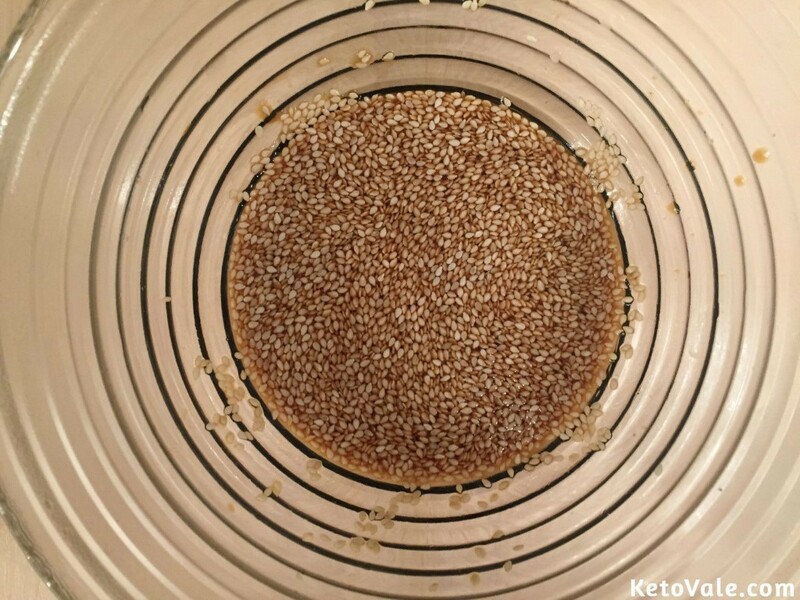 Dust some sesame seeds on top. Add some broccoli or green beans if preferred. Enjoy! 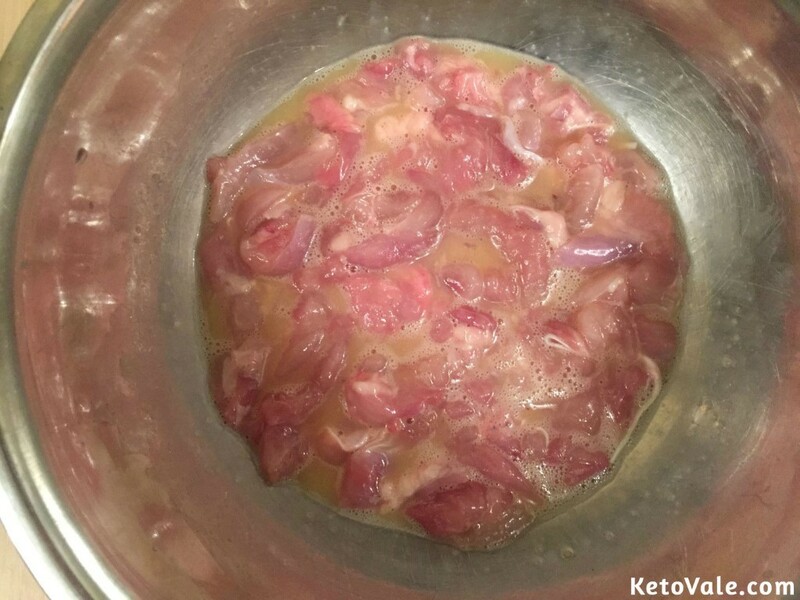 Finely chop the chicken thighs into bite sized pieces. To prepare the coating, you need to combine egg and Guar Gum powder in a bowl and beat well until a homogeneous foam. 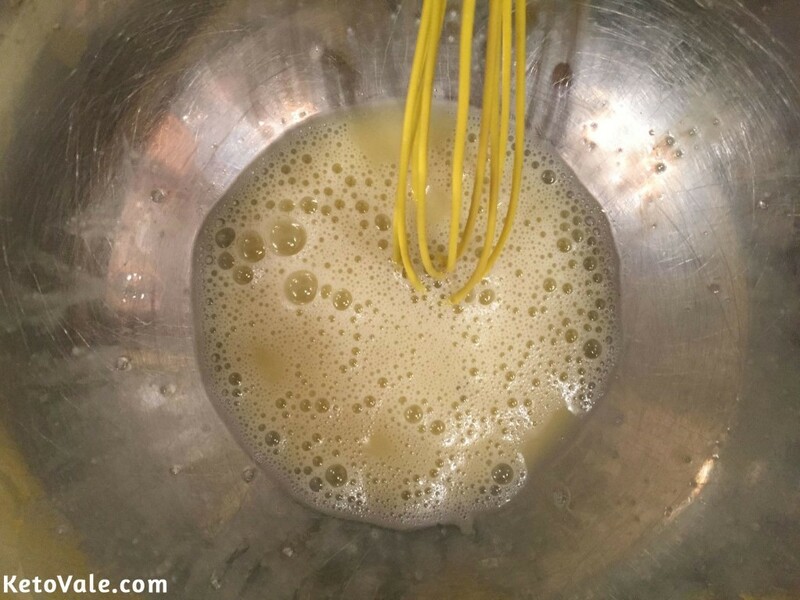 Add chicken pieces into the egg mixture and coat them well. In a hot large pan, add olive oil in and gently place the chicken in. Fry the chicken until it’s golden on both sides. Be gentle when flipping so the breading does not come off. To make the sesame sauce good, mix all the ingredients of the sauce in a bowl. Stir well. Once the chicken is cooked through, pour the sesame sauce into the pan and cook for another 5 minutes. When the sauce boils and becomes thickened, we remove everything in the plate. Sprinkle some sesame seeds. Serve with green beans or broccoli. Bon Appetit!